Fernando Alonso has labelled the Austrian Grand Prix as his “best race of the season”, due to the limited distance to race winners Mercedes in a Safety Car-free race. 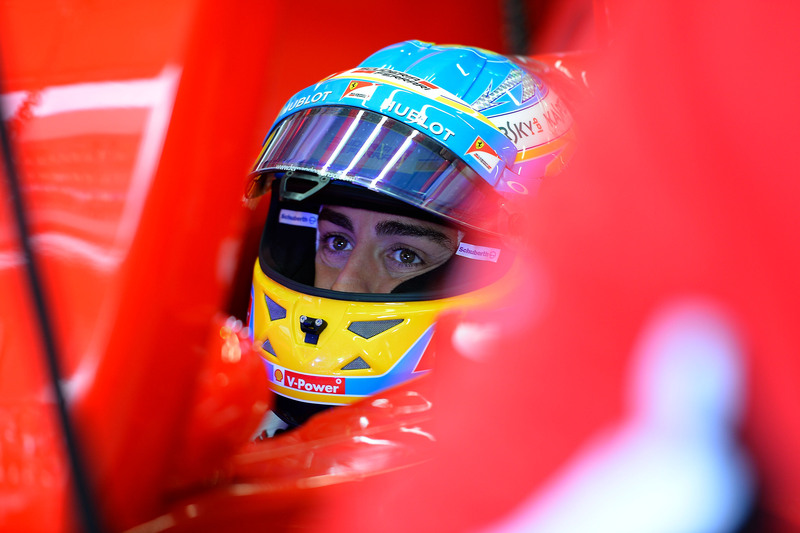 The Spaniard was speaking a day after Qualifying fourth, the best Quali result for Ferrari so far this season. Starting fourth, Alonso lost the place to Hamilton on the first lap, but managed to maintain fifth to finish the best of the rest – behind the Mercedes and Williams drivers. “I think that I can consider this to be my best race of the season,” Alonso said “Because finishing eighteen seconds off the Mercedes in a race without a Safety Car or any particular incidents, is a good result. “It was impossible to keep Hamilton behind me and fifth place is really the best we could do today, because the first four cars were quicker and therefore deserved to finish ahead of us. Alonso’s words come as Ferrari have reportedly offered him an extension to his contract which expires at the end of 2016. Since Alonso joined the team, they have won no titles due to the dominance of Red Bull and then Mercedes, but Alonso was a close challenger in both 2010 and 2012. Image courtesy of Scuderia Ferrari. Valtteri Bottas was at a loss to express his emotions after taking his first Formula One podium in the Austrian Grand Prix this afternoon. The Finn started behind team-mate Felipe Massa on the front row of the grid, but used a pit strategy to pass Massa after the two Mercedes men got past him. “It’s difficult to explain how I feel right now. 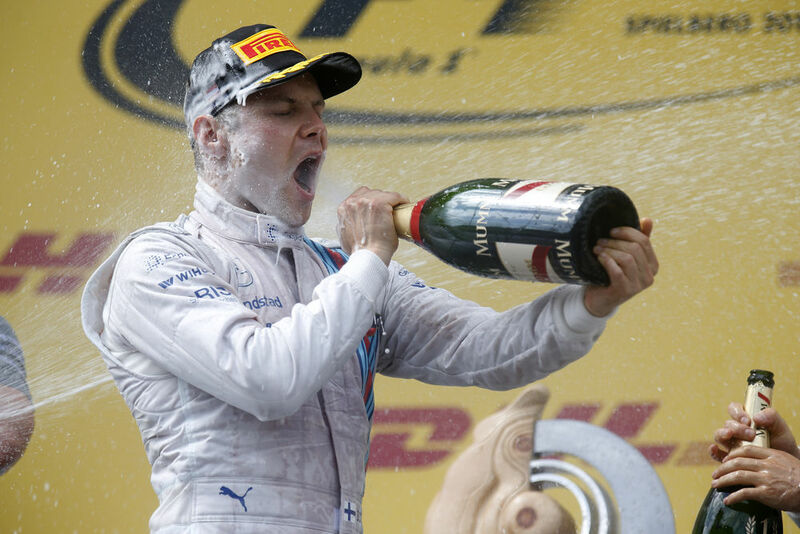 That was the best champagne I’ve ever tasted,” The Finn said when reflecting on the Grand Prix. “All the hard work that the team puts in shows in moments like this. I had one pitstop that really put me in the fight and that changed my race, so well done to the boys for that. I had put in a good lap before that and so I got in front of Felipe and from there I could manage my pace with the cars in front. Felipe Massa shared Bottas’ view, agreeing that it was a good result for the team but saying that they were never realistically going to beat Mercedes, and that there remains work to do to close the gap to the Championship leaders. Image courtesy of Williams F1 Team. 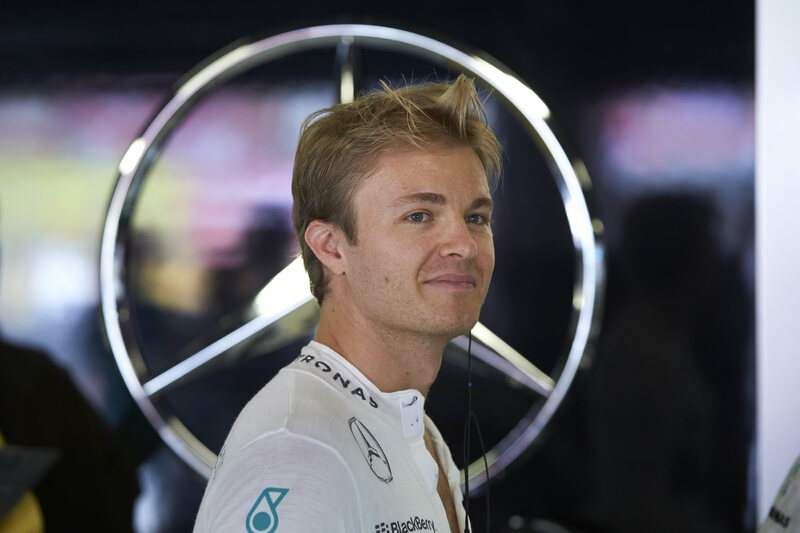 Nico Rosberg has thanked his team for providing him with a “great car and a perfect strategy”, after taking victory at the Austrian Grand Prix. The German started third behind the Williams duo – who took the first Williams front row lockout since 2003 – but although poleman Felipe Massa and his team-mate Valtteri Bottas initially held control of the Grand Prix, an “aggressive” strategy saw Rosberg get the undercut on the two. 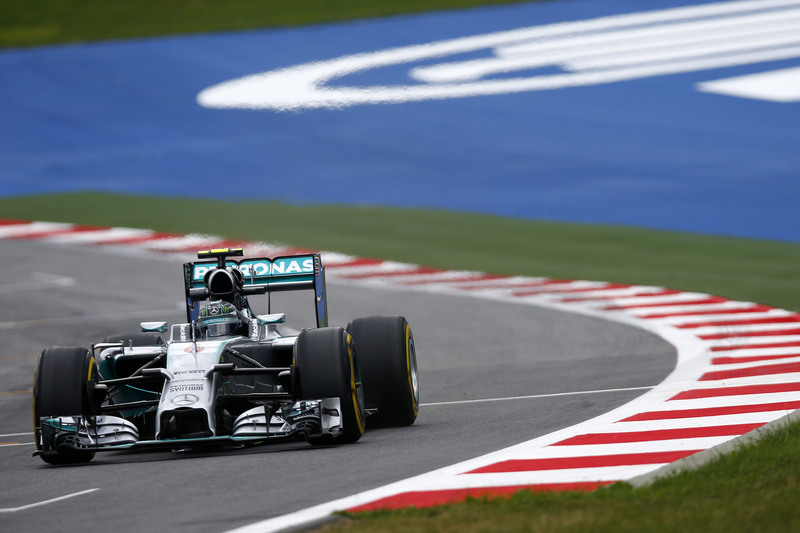 “I have to thank the team for a great car and a perfect strategy,” Rosberg said after the race. 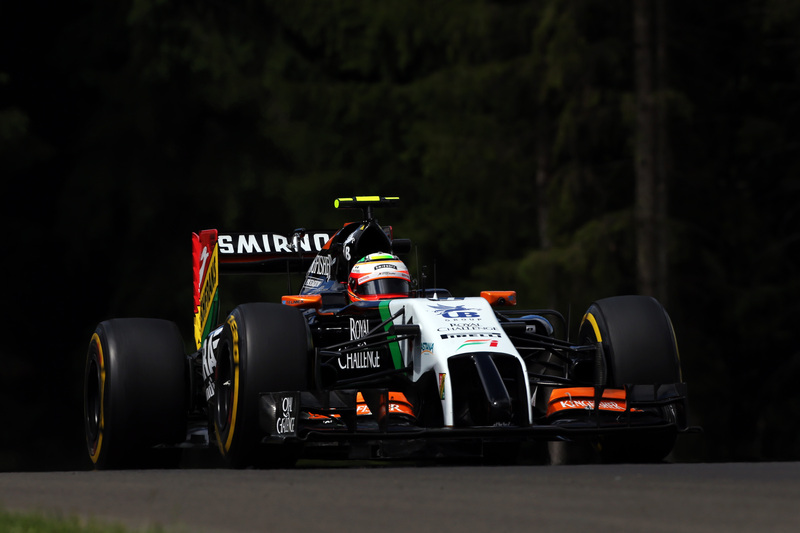 “We chose the aggressive way to pit earlier and to overtake the Williams that way and that worked out quite well. It was not as smooth a task as it appeared to have been however, and Rosberg admitted that he struggled to look after his brake temperatures: “We had to look after our brakes, which was a big job for the whole race. Also this worked out perfectly for me. Rosberg’s team-mate Lewis Hamilton recovered from two mistakes in Qualifying, which saw him start the race in ninth, to finish second. Although he finished painstakingly close behind Rosberg and the chance to reel in Rosberg’s lead in the Driver’s Championship, Hamilton said he was happy with the result in a race which he labelled as “damage limitation”. Sergio Perez and Nico Hulkenberg leave Austria with different outlooks after their respective result in this afternoon’s Austrian Grand Prix. Sergio Perez had an uphill battle to get to the front following a five-place grid penalty for his part in a crash with Felipe Massa at the Canadian Grand Prix, which meant he started the race from sixteenth. “Today we got a very positive result for the team, especially considering where we started the afternoon,” Perez said after the race. “When you start in 16th it is always going to be difficult to make up ground, but I had a very strong start and made up a good few positions. Perez also led the race for several laps after the Mercedes and Williams drivers made their first pit stops, but he was eventually passed by Rosberg, Bottas and Hamilton before making his pit stop. “It was nice to be in the lead for a while, although we obviously knew that the cars behind us were on a different strategy. The only regret is that without the grid penalty I would have been further up the grid, which would have made a big difference because we had the pace to fight for a podium today. “It’s nice to be back in the points after two disappointing races: the car is improving and we are in good shape,” Perez concluded. In contrast to his team-mate, Nico Hulkenberg was less upbeat about his race result as he crossed the line ninth, having been overtaken by Daniel Ricciardo in a ballsy manoeuvre on the last lap. “It was quite a tough afternoon and more difficult than I was expecting,” Hulkenberg admitted as he reflected on the Grand Prix. “Inside the car I was struggling with the balance quite a lot, which hurt our pace and also had an impact on the tyre wear. “So I think it was just a general lack of pace which stopped me from being able to get a better result. Checo [Perez] obviously had better race pace, even though he was on a different strategy, so we need to understand why that was the case. Team owner Vijay Mallya had a more upbeat attitude and said that it was encouraging to see both cars finish the race in the points, and that the team have maintained their fourth place in the Championship. He praised Perez’s “mature” drive today and pointed out how consistent Hulkenberg has been, scoring points in all races this season so far. The next Grand Prix is the British Grand Prix in Silverstone where the team are based. Nico Rosberg stormed to victory at the Red Bull Ring, narrowly fending off team-mate Lewis Hamilton who was keen to reel in Rosberg’s lead in the Driver’s Championship. Williams, who locked out the front row after Mercedes’ misfortune in Qualifying, were demoted to third and fourth – Bottas taking his first Formula One podium and poleman Felipe Massa finishing fourth after a battle with Sergio Perez. Felipe Massa continued his string of strong starts and shot away off the line, leaving team-mate Valtteri Bottas fighting Nico Rosberg into turn 1. The Finn dropped behind the German but Bottas made good use of Williams’ superior straight line speed to get back past the Mercedes into turn 2. Lewis Hamilton also had a good start and jumped from ninth to fifth where he met some temporary resistance from Fernando Alonso. He finally dived down the inside of his 2007 team-mate and moved himself up to fourth. While Hamilton progressed, Sebastian Vettel was falling behind the grid as he reported a loss of power. His team was at a loss to explain the issue and told him to retire the car – but after the reigning World Champion ignored the order, he found himself back to full power. He was now lapped, however, and facing a long afternoon of fighting his way through the grid. At the other end of the grid, the Williams duo seemed safely in control while the two Mercedes drivers battled each other for third. 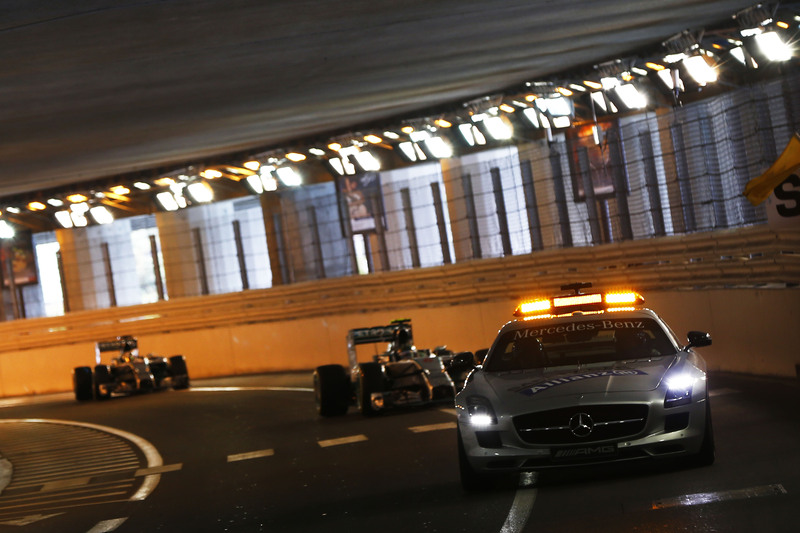 Rosberg pitted from the final podium position and had a 2.6s stop before rejoining and pushing to use the undercut. Hamilton pitted on the next lap but was a second slower than his team-mate. Massa was called in from the lead on the following lap but the Williams pit crew could not get him out fast enough and he dropped behind both Mercedes drivers who had successfully used the undercut. Rosberg would also get the jump on Valtteri Bottas whose 2.1s pit stop kept him ahead of Lewis Hamilton. In the pitlane, Daniel Ricciardo had to jump on the brakes to avoid Daniil Kvyat’s Toro Rosso who was released into the path of the Red Bull. The Toro Rosso was not penalised but Esteban Gutierrez was brought to the attention of the stewards when his team released him without his right rear properly attached. He was handed a ten-second stop/go penalty for the unsafe release and will take a ten place grid penalty for the British Grand Prix, as per the regulations. Lewis Hamilton was prowling behind Valtteri Bottas and was looking to pass the Finn to secure yet another Mercedes 1-2. Up the front, Sergio Perez was much slower on worn tyres but managed to hold the two Mercedes and two Williams drivers behind him. Several laps later Nico Rosberg finally pushed past the Mexican into turn 2 and Bottas followed the German through. Hamilton also moved past the Force India but Massa, who controversially came to blows with Perez in Canada, could not overtake him. Meanwhile, Daniil Kvyat became the race’s first retirement when his rear suspension buckled suddenly and without warning – sending the Russian bouncing across the gravel and out of the race. He was soon joined on the sidelines by Sebastian Vettel whose team decided it was pointless to keep him in the race. For their second stop, Hamilton was the first driver called in before Rosberg on the following lap. Hamilton’s four second stop was slower than Rosberg’s three-second stop and Rosberg maintained the lead over his team-mate, although he had Alonso ahead of him until he too stopped for fresh tyres. After Alonso stopped, Rosberg took the lead and Hamilton inherited second. Valtteri Bottas moved up to third and Perez took provisional fourth, although he was holding off Felipe Massa and still had to pit for the super soft compound. Meanwhile, Jean-Eric Vergne joined his team-mate in the pits with a brakes failure, and Adrian Sutil had a nasty lock up which left him slowing. The race settled down in the final laps, except for the battle between Sergio Perez and Kevin Magnussen, the Mexican passing the Finn out of turn 1, and Daniel Ricciardo and Nico Hulkenberg fighting until the last lap where Daniel Ricciardo pulled a ballsy move around the outside for eighth. Although Lewis Hamilton pushed hard towards the end, and Nico Rosberg struggled to get the car around, no one could stand in Rosberg’s way as he crossed the line to take the victory and increase his lead in the Driver’s Championship. 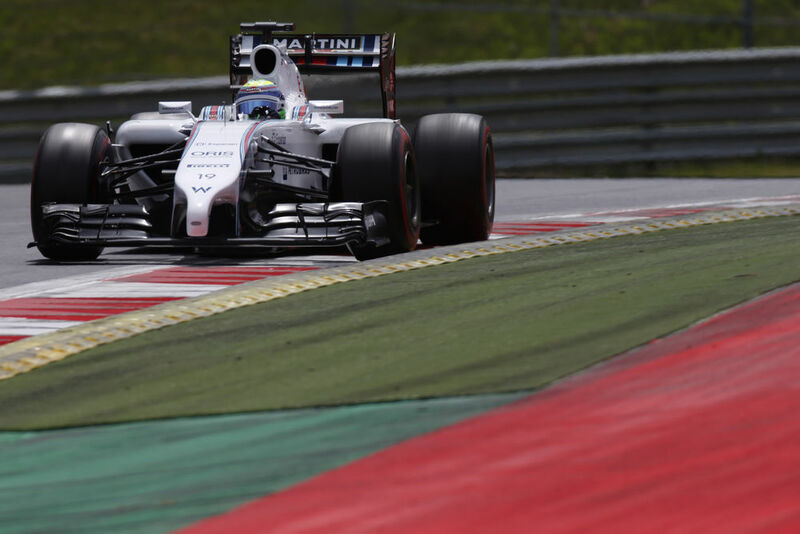 Felipe Massa took surprise pole at the Austrian Grand Prix and will have his Finnish team-mate beside him after the resurgent Williams outfit locked out the front row following misfortune for Mercedes. Already the only team who can get within firing range of an on-form Mercedes, Williams benefited from a lot of Mercedes bad luck, particularly in the all-important Q3 session. Nico Rosberg was bettered by Bottas on his first attempt while Hamilton’s first lap time was deleted after he ran wide at turn 8. The Briton’s second lap was none better when he spun out under braking into turn 2. The subsequent yellow flags impeded his team-mate who settled for third. With no time set, Hamilton was left down in ninth – ahead of Nico Hulkenberg who also had his lap time deleted for exceeding track limits. Nonetheless, the Williams boys were in fine form. Although he took pole, Massa’s lap was far from perfect, and with two lock ups on his lap, it’s clear that there is more yet to come from the incredibly popular Williams team. Fernando Alonso congratulated his former team-mate in the paddock and thought about how his fortunes are faring in comparison: with fourth on the grid, he set his best Qualifying result so far this season. Race winner last-time-out, Daniel Ricciardo, took his Red Bull to fifth on the grid – certainly a much better result than Sebastian Vettel who failed to progress from the Q2 session. Kevin Magnussen in sixth and Daniil Kvyat in seventh also made it into the top ten while their team-mates did not, with impressive performances from both rookies. Kimi Raikkonen was the last man inside the top ten to record a lap time, but as he had to slow down for the yellow flag of Hamilton’s spin, he failed to set a competitive time and qualified eighth. Sergio Perez qualified eleventh but due to the five-place grid penalty for his crash with Massa at the Canadian Grand Prix, which he unsuccessfully appealed on Friday, he will start from sixteenth. This in turn promotes Jenson Button, Sebastian Vettel, Pastor Maldonado, Jean-Eric Vergne and Romain Grosjean. Adrian Sutil and his Sauber team-mate Esteban Gutierrez both failed to make it past the first hurdle and dropped from Q1, joining Jules Bianchi, Kamui Kobayashi, Max Chilton (who has a three-place penalty for crashing with Bianchi in Canada) and Marcus Ericsson.